Breaking: One of the trendiest types of marketing in today’s social media frenzy is influencer marketing. Influencer marketing isn’t new, but its popularity has risen alongside the wave of social media. An influencer, by definition, is someone who affects or changes the way that other people behave. Throughout the centuries, our society has always looked to those they idolized and trusted their opinion because they simply wanted to be more like them, do what they were doing, and so on. It’s similar to the product placement push in marketing we often see in movies, TV shows, and endorsements in commercials. The difference is that instead of seeing a product used by your favorite character or celebrity, as you flip the channels or binge your favorite series, you see products while scrolling your social media feed from an influencer. Instagram, specifically, has been a huge reason for the success of influencers in the modern marketing world. The visual aspect of its content makes it a great channel to display products through influencer marketing. There are two types of Influencers: micro influencers and macro influencers. A micro influencer has a smaller following and they tend to be more local and niche. A micro influencer might have somewhere around 10,000-90,000 followers, as opposed to hundreds of thousands. There’s a distinct benefit to the smaller following of a micro influencer, and that is that their followers are more likely to be engaged. They typically represent a certain category (fashion, food, parenting, fitness, etc.) at a local level. So, if you are a local business or want to hit certain areas, think micro. They are also less expensive than a Kardashian, and likely more willing to post for you. Now, macro, as you have probably gathered, are those 90,000+ follower influencers who are well known at a larger level. I always like to use the Selena Gomez example of her sipping the Coca-Cola. It got the most likes on Instagram at one point in time (back in 2016). Although we’ve seen a wave of new posts beat it since then (including more from Selena), it’s a great example of an endorsement from a big brand like Coca-Cola, using a big star, like Selena. As we move forward in the New Year, there definitely will be a shift in Influencer Marketing. More than ever, audiences will be wary of what is real. 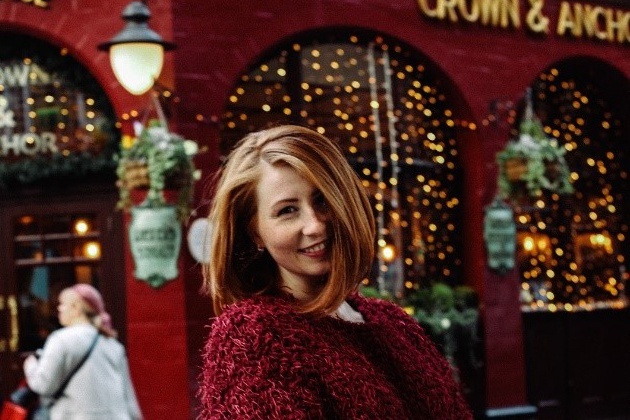 There will likely be a crackdown on what is authentic and what isn’t, which is both a benefit for micro influencers and could be seen as a disadvantage for macro influencers, whose followings might be questioned at a high level of authenticity. Therefore, a strategy behind influencer campaigns is necessary for it to work. With that said, it definitely can work, and work well. Consider a local, niche audience if you are a local business trying to launch influencer marketing campaigns in 2019. These may even look like an audience smaller than the micro numbers we saw in 2018. Let’s talk execution. There are a few avenues to get an influencer to be an advocate for your product or service. You can absolutely do the outreach on your own, or you can go through agencies (like 2060 Digital, of course) to do the work for you. By work, what I am referring to is finding the influencers that fit your category, reaching out to them, scrubbing through their followers to determine their authenticity, negotiating with their individual pricing models, writing contracts to hold both parties accountable, coming up with a content calendar, using paid advertising to push out the content, and more. As you can see, this has become a job requiring a lot of effort, if you want it done well. So what is the ROI? Well, it depends. Don’t you love that answer? Probably not, but it is the truth. There are multiple reasons why someone would want to use an influencer, such as PR, brand awareness, conversions, follower growth, and sales. From there you can determine what aspects are important to you, and the ROI will be based on that. Influencers can do giveaways, give out promo codes, or just talk up your product or service to their followers. Oddly enough, influencers can even be dogs. Think creatively when thinking about your influencer campaigns. Campaigns can be giveaways or social media posts or stories, but they can also be experiential, videos, or blogs. 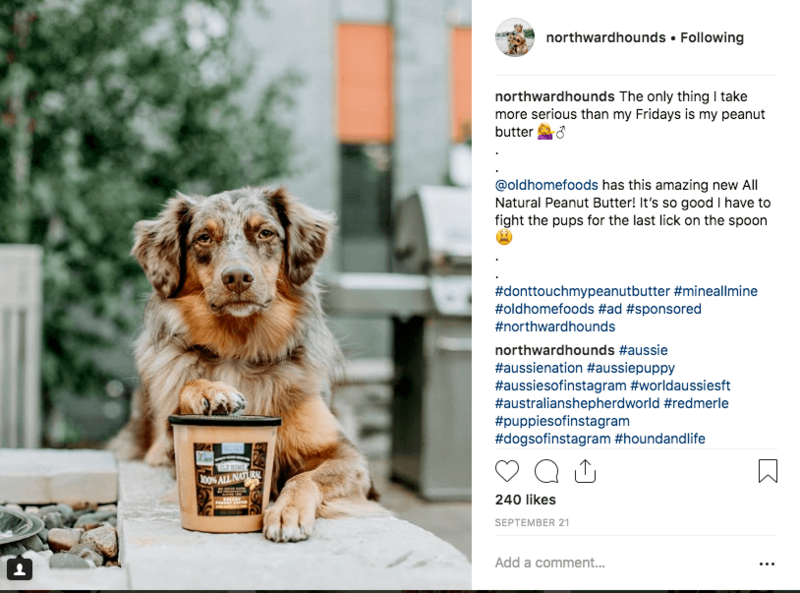 Influencer Campaign for Old Home Foods, using local dog influencers to promote their all-natural, dog-friendly, peanut butter to reach dog owners. The most important takeaway when it comes to this topic is that it works. According to a recent study done about what to focus on in 2019, 72% of users bought a product they saw on Instagram. An even more outstanding statistic that relates directly to influencer marketing is that “Influencer marketing delivers 11x higher ROI than traditional forms of digital marketing, and that 94% of marketers who’ve used influencer marketing believe the tactic to be effective” stated by Social Media Today back in March. 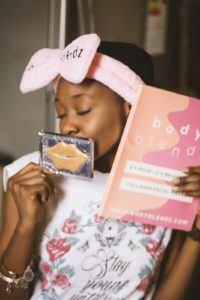 So the next time you are thinking of a solution for your business, and you want to focus on a social media presence, consider influencer marketing. It might just be the right path for your marketing journey. If you are looking for the best guide in the business to get your influencer marketing campaign up and running, trust the experts at 2060 Digital.